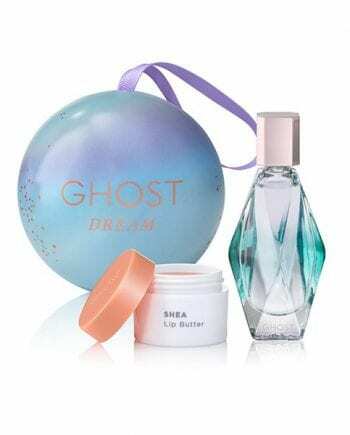 Ghost Daydream Mini Perfume Bauble Gift Set. Ghost Daydream Eau de Parfum is a fresh summery floral variation of the signature Ghost Dream. Notes include Violet Leaf & Flower, Apple, Jasmine Absolute, Salty Accord, Tuberose Absolute, Heliotrope, Patchouli, Cedarwood, Musk and Amber. 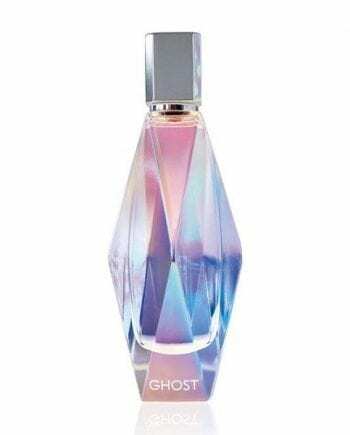 The pretty bottle is lilac shimmer version of the Ghost Dream bottle and is available in two sizes: 30ml and 50ml Eau de Parfum. This super cute gift set contains an Eau de Parfum 10ml and Raspberry Tinted Lip Butter 8g.